^^ You get all these! Get an instant quote online. Use our Real Time Quote engine to see exactly what your data will cost and purchase only the areas you need. Plus, your files are ready for download instantly after purchase. County Boundary Data shows direct marketers where their prospects live, helping them to develop efficient strategies and target campaigns and help web developers add relevance to search capabilities. ZIP Code Boundaries also allow local search by County to display an area on a map with points of interest. Of course, the more accurate the County data, the better the marketing and search results. Are you using old County data? How much are inaccuracies costing your business? 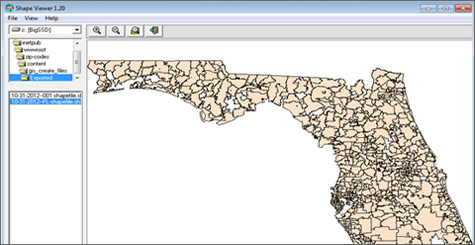 ZIP-Codes has the most accurate County GIS data available. We build County Boundaries from the individual address up and aligns boundaries with streets to represent on-the-ground reality. And, we keep ZIP Code data up-to-date with the frequent changes driven by USPS expansions and consolidation. It’s tempting to cut corners on the complex processing of millions of addresses in the United States, but we never do. Instead, data and GIS experts apply strict methodology to ensure that every County accurately directs business investments. County boundaries add perspective to your maps, point you toward the good potential customers, and add relevence to your local search. Available to download immediately. Working on a Saturday and need this data right now? No problem! Sourced from the USPS, then enhanced and improved using proprietary processes. Compiled with strict methodology and algorithms that align ZIP Code data with streets to eliminate overlaps. Comprehensive, providing coverage across the entire United States including Washington DC and Puerto Rico. Complete with latitude/longitude for all ZIP Code polygons, and ZIP Code centroids. Easy to integrate with other datasets including Neighborhood Boundaries, County Boundaries, City Boundaries, and other GIS databases. Updated and released every quarter. See customer data with actual boundaries for the County also shown. 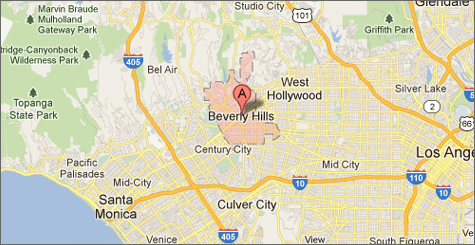 Include in your own web mashup or interactive map application on the web. Use for lead assignment or for routing leads to sales reps or distributors. Add County layers to your existing Geographic Information System (GIS) such as ESRI's ArcView or MapInfo. Internal data analysis of customers, vendors, or any segment imaginable. All of our boundary data uses SRID 4326 or WGS84. How is County GIS data created? Using sophisticated algorithms that strictly interpret monthly data feeds from the US Postal Service, Maponics ZIP Code GIS data is built from the address up to represent on-the-ground reality. Each Maponics ZIP Code boundary is closely tied to the street network as defined in the TIGER/Line® street data network. Why do ZIP Code boundaries have to be updated? There are about 45,000 5-digit ZIP Codes in the US. The exact number changes frequently. Most of those changes are quite small. Others are significant. ZIP Codes change for two reasons: population growth requires adding ZIP Codes or ZIP Codes are reorganized to facilitate mail delivery. How much of the country does Maponics ZIP Code data cover? Maponics ZIP Code GIS data covers the entire United States. Doesn't the USPS make ZIP Code maps? No. 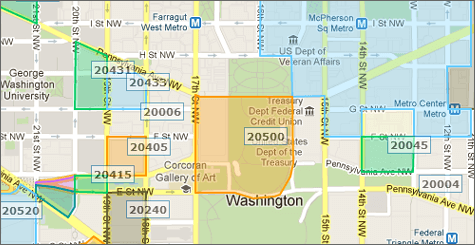 ZIP Code maps are not made with polygons but with collections of deliverable addresses. Boundaries have to be created using those address clusters and given latitude and longitude coordinates. This is an extensive process that falls outside the mission of the USPS. 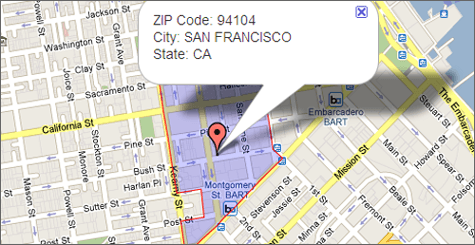 In fact, USPS.com refers all visitors looking for ZIP Code maps to Maponics. In what ways are Maponics ZIP Codes more accurate than other ZIP Code datasets that are available? The enormous effort and amount of resources required to create accurate ZIP Codes often entices companies to take short-cuts. The fact is that some ZIP Codes are easy to map and others are difficult in that they require thought and research. Many data providers over-generalize boundaries by simply dropping ZIP Codes that are hard to map. We never takes those short-cuts. Strict data methodologies and quality assurance checks ensure that ZIP Code Boundaries accurately capture all ZIP Codes, not just those that are easy to map. ZIP is an acronym for Zone Improvement Plan, and refers to the USPS’ initiative in the 1960’s to improve the sorting and delivery of mail. Units with roughly the same number of deliverable addresses were created and termed ZIP Code. ZIP Codes are comprised of 5 numbers. An additional four, referred to as ZIP +4, are appended by the USPS to allow mail to not only reach the postal town associated with a ZIP Code but also be sorted to the level of city block, office building, or individual high-volume receiver of mail. Why are there filler ZIP Codes? How can they be used? Filler ZIP Codes are utilized by us to help create continuous polygonal ZIP Code coverage across the United States in places where there isn't sufficient information to define a ZIP Code point or polygon. Filler ZIP Codes can be used for display purposes so that visually there are no holes. Filler ZIP Code structure is as follows: a 3-digit ZIP Code followed by either an "MH" or "MX" (ex. 901MH) to differentiate areas encompassed by water (MH) or land (MX). Can ZIP Codes cross state boundaries? If so, how are the polygon represented in this product? Is the same true for county boundaries? ZIP Codes can cross state boundaries. In our ZIP Code Boundaries product these ZIP Codes are represented as one polygon and are assigned to the state where the centroid of the ZIP falls. The same is true for ZIP Codes that cross county boundaries. 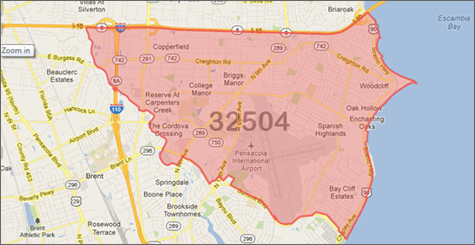 Why do some ZIP Codes have multiple polygons? ZIP Code data is not really polygonal. ZIP Code data can be non-contiguous pockets of addresses served by a specific zip code. Additionally, topological features such as water (a bay or river - especially with islands) or mountains can create address pockets. ZIP Codes are created solely for the purpose of efficient mail delivery which results in these kinds of quirks and oddities. Note #2: In rare instances, ZIP Code boundaries can cross state borders, in which case the state recorded is	where the ZIP Code centroid falls. This Data License Agreement (“Agreement”) is entered into on the date the order is placed (“Effective Date"), by and between Datasheer, LLC, a New York company ("Datasheer") and the company or individual making the purchase (“Licensee”), for use only by Licensee. The Term of this Agreement shall be for an Annual 1 Year License and the Licensee fees are those which are presented and accepted by Licensee at the time of sale. Licensed Content will be delivered at the time of purchase and such purchase shall constitute Licensee’s acceptance of all terms and conditions contained within the End User License Agreement. 2.1 “End User” means a named person within the Licensee’s organization. 2.2 “Intellectual Property” means patent, copyright, trademark, service mark, trade secret and any and all other statutory, moral and legal rights and protections available under applicable law for the protection of intellectual property. 2.3 “Licensed Content” means the Products identified in Article 1. 2.4 “Updates” means updates and additions to Licensed Contenet. Licensee will receive NO UPDATES to the Licensed Content. 2.5 “Supplier” means any third-party organization supplying information to Datasheer and incorporated into the Licensed Content. 3.1 Subject to the terms and conditions of this Agreement, Datasheer hereby grants to Licensee, and Licensee hereby accepts, a non-exclusive, non-transferable license within the United States of America to possess and to use Licensed Materials solely for internal or web use mapping and analytics. Use of Licensed Content, or a derivative thereof, is expressly prohibited. Licensed Content may only be used by End User and may not be resold and may not be redistributed except as expressly stated in terms of this Agreement. 3.2. Use of the Licensed Content in products or services designed or sold for any purpose other than expressly specified in Section 3.1 is specifically excluded from the license granted in this Agreement and requires the prior written consent of Datasheer. The rights granted under this Agreement specifically exclude the right to directly or indirectly: sell, distribute, reverse engineer, or sublicense the Licensed Content or any portion thereof to any person or entity. 3.3. Licensee acknowledges and agrees that Datasheer and its Suppliers own all proprietary rights, including, but not limited to all Intellectual Property rights, in and to the Licensed Content, including any derivatives thereof, and any corrections and Updates to such Licensed Content or any derivatives thereof, and Licensee shall make no assertion to the contrary. Licensee acknowledges and agrees that the Licensed Content qualifies as a trade secret within the meaning of the Uniform Trade Secrets Act. Licensee acknowledges and agrees that Datasheer has expended considerable time, effort and funds to compile the Licensed Content; title to Licensed Content shall at all times remain in Datasheer, and Licensee shall have no rights therein except as expressly provided in this Agreement. 3.4. The Licensed Content will be stored and utilized on computers located at Company’s offices and will not (except for back-up copies) be maintained at any other location. Datasheer may request at any time and Licensee will promptly (not to exceed 10 days) deliver to Datasheer a list of all locations containing any Licensed Content and the use of such Licensed Content in each such computer and location. 3.5. Licensee shall receive no updates to the Licensed Content. 3.6. Licensed Content may only be used on wesites that are ranked higher than number 10,000 by Alexa (www.alexa.com). Licensee stipulates that use will not be for any website that is ranked in the Top 10,000 Alexa ranked websites. Licensee further agrees that this License shall be terminated if Licensed Content is utilized on any website ranked in the Top 10,000 websites. 3.7. Licensed data may only be distributed outside of organization if the External license has been purchased. If the Internal license has been purchased, then Licensee agrees to only use this data within their organization. 4.1. Licensee shall pay license fees to Datasheer’ Authorized Reseller. 4.2. Datasheer will deliver Licensed Content in the form and format maintained by Datasheer. 4.3. The license granted herein does not include technical support for integrating data into Licensee’s application. 4.4. Licensee shall retain Maponics copyright notice ©Maponics 200_ in any map or report output it generates using the Licensed Content. Failure to do so terminates this Agreement in accordance with Section 7. 4.5. Datasheer may acknowledge Licensee as a customer of Datasheer. 5.1. Each of the parties hereto represents and warrants that it has full power and authority to enter into this Agreement. Datasheer represents and warrants that it has the right to grant the licenses granted herein, and that the Licensed Content was prepared in a professional and workmanlike manner. 5.2. THE LICENSED CONTENT IS PROVIDED ON AN “AS IS”, “AS AVAILABLE”, AND “WITH ALL FAULTS” BASIS, AND DATASHEER EXPRESSLY DISCLAIMS ALL OTHER WARRANTIES NOT EXPLICITLY SET FORTH IN THIS ARTICLE 5, WHETHER EXPRESS OR IMPLIED, WITH RESPECT TO THE LICENSED CONTENT, INCLUDING, WITHOUT LIMITATION, WARRANTIES OF MERCHANTABILITY AND FITNESS FOR A PARTICULAR PURPOSE, QUALITY AND PERFORMANCE. NO ORAL OR WRITTEN INFORMATION OR ADVICE GIVEN BY DATASHEER OR ANY OF ITS EMPLOYEES OR REPRESENTATIVES SHALL CREATE A WARRANTY OR IN ANY WAY INCREASE THE SCOPE OF THE WARRANTIES TO LICENSEE. 5.3. Licensee acknowledges and agrees that Datasheer may have seeded the Licensed Content with code and/or content as a way to track compliance with this Agreement. 6.1. Except as otherwise expressly set forth in this Agreement, Datasheer, any company affiliated with Datasheer, or any officer, director, employee, agent, subcontractor, successor or assignee of Datasheer or any such company shall not be liable to Licensee for any loss, injury, claim, liability or damage of any kind resulting in any way from (a) errors or omissions in Licensed Content, (b) use of Licensed Content by Licensee or any party receiving any Licensed Content from Licensee directly or indirectly or (c) the content of Licensed Content as provided under this Agreement. Licensee’s exclusive remedy regarding defects in Licensed Content shall be to request Datasheer to correct such defect and provide such corrected data to Licensee. 6.2. If the limitations of liability set forth in Section 6.1 or elsewhere in this Agreement are held to be unenforceable, the liability of Datasheer, any company affiliated with Datasheer, and any officer, director, employee, agent, subcontractor, successor or assign of Datasheer or any such company, to Licensee for damages or alleged damages, whether in contract (including breach of warranty) tort (including strict liability and negligence), or otherwise, with respect to Licensed Content or otherwise related to this Agreement shall not exceed the amounts received by Datasheer from Licensee for use of the Licensed Content during the three months preceding the acts giving rise to the damages. 6.3. In no event shall Datasheer be liable to License for any indirect, incidental, special or consequential damages arising from or in any way connected with its performance or failure to perform under this Agreement, whether in contract (including breach of warranty), tort (including strict liability and negligence), or otherwise, including, without limitation, loss of revenues or loss of profits, even if Datasheer has knowledge of the possibility of such damages. 6.4. Licensee shall indemnify, defend, and hold harmless Datasheer, its parents, affiliates, successors and assigns, and all of their officers, directors, employees and agents from and against any and all claims, demands, costs, liabilities, losses, expenses, and damages (including reasonable attorney’s fees) arising out of (i) any third-party claims relating to Licensee’s breach of this Agreement; (ii) modification of Licensed Content other than by Licensor; (iii) use by Licensee or an End User that is not strictly in accord with the terms of this Agreement and the License granted herein. 7.1. This Agreement will commence on the Effective Date and continue for 1 (one) year unless terminated earlier as provided in this Agreement. 7.2. This Agreement may be terminated by Datasheer (a) immediately upon notice to Licensee in the event that Licensee is using the Licensed Content (or any portion thereof) in any way other than as expressly permitted by this Agreement and fails to remedy such default within 2 days following written notice thereof from Datasheer, or (b) upon 30 days prior written notice of termination by Datasheer. Within thirty (30) days after the termination of this Agreement pursuant to part (b) of the preceding sentence, Datasheer shall return to the Licensee a pro rata portion of the Annual Fee actually paid by Licensee for that portion of the Contract Year not completed. 7.3. In addition to the foregoing, either Party may terminate this Agreement immediately upon written notice to the other Party if such other Party becomes insolvent, admits in writing its inability to pay its debts as they become due or ceases or threatens to cease to carry on the business or a substantial portion of the business carried on by it. 7.4. Upon any termination or non-renewal of this Agreement, Licensee shall immediately discontinue use of the Licensed Content and shall, within 30 days after the effective date of termination, purge its computer system of and, at Datasheer' option, either return to Datasheer all copies of the Licensed Content in its possession or destroy all such Licensed Content. Licensee will, upon the request of Datasheer, certify that the actions required of it by the foregoing sentence have been taken. 7.5. Termination shall not entitle Licensee to any refund in whole or in part, other than as explicitly set forth in Section 7.2 above. 8.1. The Licensed Content and this Agreement contain confidential and proprietary information and trade secrets of Datasheer. As used in this Agreement, "Confidential Information" means (a) the Licensed Content and this Agreement, (b) all other proprietary, confidential or trade secret information which is clearly labeled or designated in writing as confidential, proprietary or the like by the disclosing party, (c) information disclosed orally with a designation of such information as secret, confidential or proprietary prior to or during the oral disclosure and a subsequent reduction of such information to a writing labeled confidential, proprietary or the like and sent to the party to whom the disclosure was made within 15 days after the oral disclosure and (d) any other information that, although not designated as such by the disclosing party, is of a type and nature that a reasonable person would expect that it be treated as confidential and/or proprietary. Notwithstanding the foregoing, information shall not be considered Confidential Information to the extent that such information: (w) can be demonstrated to be already known to the receiving party free of any restriction at the time it is obtained from the other party; (x) is subsequently learned from an independent third party free of any restriction and without breach of this Agreement; (y) becomes publicly available through no wrongful act of the receiving party; or (z) required to be disclosed by applicable law. 8.2. Each of Datasheer and Licensee agree that it will not, during the term of this Agreement and for five years thereafter, disclose to any other person or entity any Confidential Information received from the other, except as strictly necessary (a) in connection with its performance under this Agreement, (b) in connection with any pending action related to this Agreement, or (c) as required by a court of competent jurisdiction. Notwithstanding the provisions of this Section 11, the parties may disclose Confidential Information to their respective affiliates, accountants, attorneys, and other similar professional advisors with a need to know such information as long as the entity or person to which Confidential Information is disclosed is subject to obligations of confidentiality with the same effect as those specified in this Section 8. Notwithstanding the foregoing, Datasheer and any independent contractors which it uses to process the Licensed Content may exchange information in connection with this Agreement so long as such independent contractors are subject to obligations of confidentiality with the same effect as those specified in this Section. 9.1. All notices given pursuant to this Agreement shall be in writing and sent prepaid by certified U.S. Mail, by nationally-recognized overnight service (which provides proof of delivery) or via facsimile to the parties at the addresses set forth in Section 1 above. 9.2. Either party may from time to time change its notice address set forth in this Agreement by notice to the other party. 9.3. This Agreement shall be governed by and construed in accordance with the laws of the State of New York, as applicable to agreements made and wholly performed therein, without regard to any conflicts of laws principles that would cause the application of the laws of another jurisdiction. The parties hereto agree that jurisdiction and venue over all matters relating hereto shall be vested exclusively in the local, state and Federal courts located within the State of New York, County of Dutchess. The parties hereto expressly exclude the United Nations Convention on Contracts for the International Sale of Goods and any enacted version of the Uniform Computer Transactions Act (“UCITA”) from applying to this Agreement. 9.4. All costs borne by Datasheer in enforcing the terms of this Agreement shall be the responsibility of the Licensee. 10.1. This Agreement constitutes the entire agreement of the parties relating to the subject matter hereof and supersedes all prior communications, understandings and agreements, oral or written, relating thereto. 10.2. No modification or waiver of any provision of this Agreement shall be valid unless such modification or waiver is in a writing drafted specifically and exclusively to amend or modify this Agreement and signed by the party against whom it is sought to be enforced. No purchase order, invoice, acceptance form or other like document shall modify this Agreement in any manner or impose obligations on the parties in addition to or inconsistent with those set forth herein. No waiver at any time of any provision of this Agreement shall be deemed a waiver of any other provision of this Agreement at that time or a waiver of that or any other provision of this Agreement at any other time. 11.1. Licensee acknowledges that any use of the Licensed Content by Licensee which is not in accordance with the terms of this Agreement or any violation of the restrictions imposed on its use of the Licensed Content would cause irreparable harm to Datasheer for which there would be no adequate remedy at law. Accordingly, Licensee agrees that in the event of any such violation, Datasheer shall be entitled to immediate injunctive relief (temporary, preliminary or permanent, as the case maybe) against Licensee, its officers and employees, in addition to such other rights and remedies to which it may be entitled by law. 12.1. If any provision of this Agreement is held by a court of competent jurisdiction to be contrary to law, such provision shall be changed and interpreted so as to best accomplish the objectives of the original provision to the fullest extent allowed by law and the remaining provisions of this Agreement shall remain in full force and effect. 12.2. This Agreement and any amendments may be executed in one or more counterparts, each of which shall be deemed an original, but all of which together shall constitute one agreement. 12.3. Nothing in this Agreement shall be construed to constitute or appoint either party as the agent or representative of the other party for any purpose whatsoever, or to grant to either party any right or authority to assume or create any obligation or responsibility, express or implied, for or on behalf of or in the name of the other party, or to bind the other party in any way or manner whatsoever. 12.4. Neither party shall be liable to the other party for any loss or damage attributable to, and neither party shall be deemed to be in default hereunder as a result of, any failure or delay in performance caused by force majeure. For purposes of this Agreement, the term "force majeure" shall include strike, lockout, earthquake, hurricane, flood, fire or other acts of God, nature, war, rebellion, civil disorders, acts of civil or military authorities (including the denial or cancellation of any export or other necessary license), unavailability of materials, carriers or communications facilities, and any other causes beyond the reasonable control of the party whose performance is affected. The party affected by an event constituting “force majeure” shall use all reasonable efforts to minimize the consequences of the same. Where force majeure remains in effect for more than three months, or if at the beginning of a force majeure condition it is clear that it will last longer than three months, either party may terminate this Agreement by giving notice to the other at least three months prior to such termination. Notwithstanding anything to the contrary herein, the provisions of this Section 15.4 shall not apply to any failure or delay in timely payment of any amounts due pursuant to this Agreement. 12.5. Neither this Agreement nor any interest herein may be assigned by the Licensee without the prior written approval of the Licensor, which approval may be withheld in Licensor’s sole discretion. Notwithstanding the foregoing, Licensee may assign this Agreement in its entirety to any purchaser of all or substantially all of Licensee’s assets, or to any subsidiary or legal successor, without the prior approval of the other party. Due to the # of records, we have upgraded you to the FULL dataset to save you money. Read More. Please enter/select geography locations to narrow your search down.